This is post 24 of 31 for the Blaugust event. To check out more Blaugust posts and sign up to participate, visit the Blaugust Nook! Saturday night was raid night. I got the chance to tank some, which was a lot of fun. I was able to re-rune a bit before raid to replace a piece I got, but instead of selling it, I put it into my bank. Maybe I’ll get the four rune slots back as tokens. It’s an idea… we’ll see if it actually works. I didn’t get to re-rune my DPS set, though. There wasn’t enough time before raid, and I had two pieces to try to finagle instead of just one. I probably won’t get it done before raid on Tuesday, either, but I’ll have plenty of time before I’m able to make raid again, so maybe sometime during the week I can get it in. On Tuesday we got through the first floor, with one mini-boss left. Saturday I got to see the second floor for the first ever time! It was so neat! Similar but different color scheme to the first floor. It’s more techno-phage and less strain-infested. I downed two new mini-bosses for the first time, too! Phagetech Guardian C-148 and Phagetech Guardian C-432. 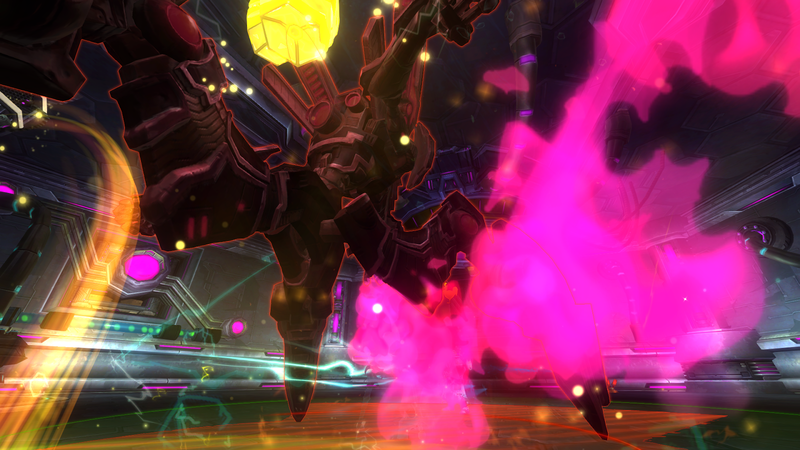 They’re fairly simple fights, actually, compared to a lot of the other mini-bosses we’ve encountered. 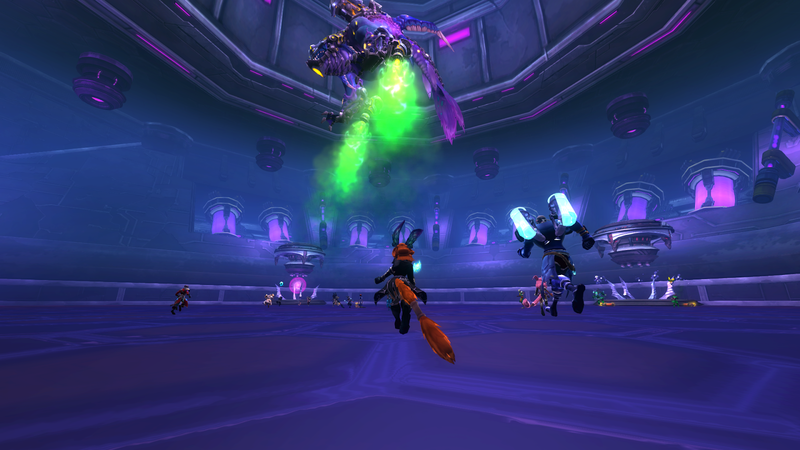 Honestly, I think the hardest fight in the whole raid that I’ve seen so far has to be Kuralak. Especially since we’re still using the Engineer trick to get her, rather than being able to do the pillars ourselves fully, yet. I’m hoping we can get there soon, though! I also got to see Phagemaw for the first time ever! I mean, yeah, I’ve watched videos, but it’s different to see a boss and learn the dance. I was in the non-bomb group, so it was fairly easy. Though honestly, from what I saw of the bomb group, it doesn’t look too much difficult either, as a DPS. I can’t imagine the hell the healers go through during this fight, though. I’d be interested in one day trying these out as a healer, though I don’t know when it’d ever happen because we have a lot of our healers DPSing already. We got Phagemaw down to 13%, and while I’m sad that I didn’t get him down this week, I know that the guild will have him down in the next week or so, and I’ll get him down for my first kill soon after.